Gabriel’s House, the City’s third Neighborhood House, is named in memory of eight-year-old Gabriel Fernandez, who was tragically killed this year after prolonged child abuse. (Read more on his story here). The Open House is scheduled from 5 to 8 p.m., Thursday, Dec. 19, at 38533 4th Street East in Palmdale. 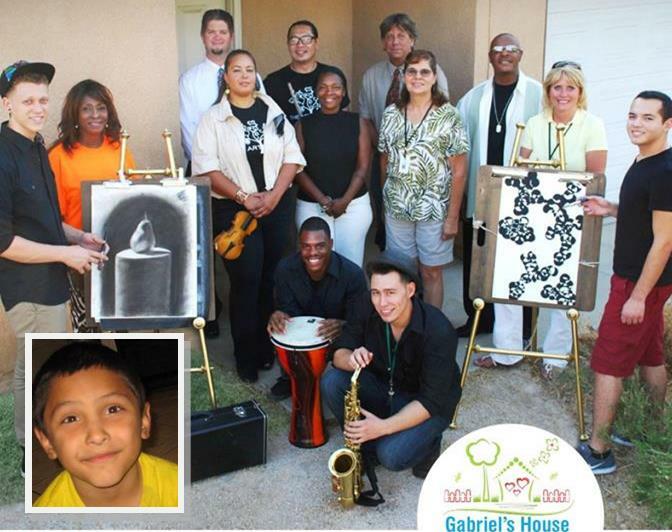 “We’re inviting the community to tour the newly renovated Gabriel’s House… Come and learn about upcoming classes, volunteer opportunities and program needs,” said Palmdale’s Director of Neighborhood Services Mike Miller. On hand will be Jimmy and Kim Lu of The Art Branch, who will be coordinating music, art and theater programming when Gabriel’s House opens. The Art Branch a non-profit organization established in 2008. It’s mission is to impact the well-being of youth by providing learning and education centers that support integrity and life-enhancing principles through the arts. It is designed to be a place for youth, ages 10-17, to express themselves in a positive, constructive manner through film, drama, dance, photography, music and visual arts. The Art Branch takes a proactive approach to directly address the growing crisis among youth, such as suicide, depression, gang violence, truancy, school dropouts and teen pregnancy, by engaging communities to support youth of all cultural backgrounds and economic status in their pursuit of well-being. For information about the Open House, call 661-267-5126.